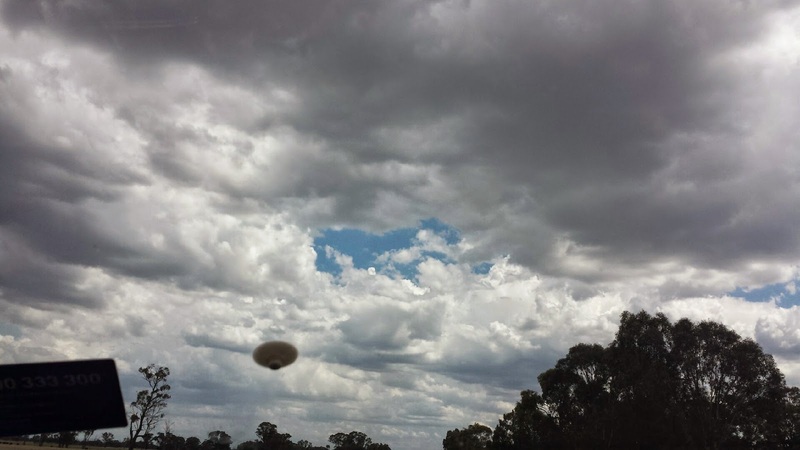 Only in the rarest of occasions does the MUFON latest UFO reports hold a potential gem of a picture... this one from Australia and only a few weeks ago on Jan 28th. Yes, the place Wollongong exists. Yes, this is an `exceptional' `UFO' picture. So, lets see the goods.... right? Hi i would like to be contacted so i can send a photo for you to investigate. Its a very clear photo of something i believe to be extra terrestrial. As i was driveing home i saw a hovering craft right above us. After taking a deep breath.... let's take a full look at what we have. Something that looks like the underside of a lamppost with the pole removed. A VERY inadequate description lacking details found in normal `real' UFO experiences. No additional confirmation by other witnesses or pics. I don't know about you, but when it comes to UFOs even if people in my home town in Wollongong swear they saw it, I'd take it with a pinch of salt. It's really easy to fake something like this! As I said... doesn't pass the sniff test. Thanks for checking in.